Kirkwood Green is a cul-de-sac community of 14 stylish detached townhomes with drive under two car garage parking. Enjoy all the benefits of a home location off Wisteria Way in Historic Kirkwood. 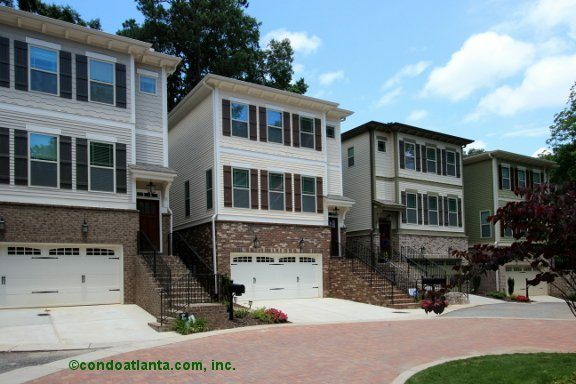 Love your home location convenient to Kirkwood Village, Lake Claire, Candler Park, Oakhurst, and all the wonderful development along the Atlanta Beltline. Searching for a home convenient to recreational parks and green spaces? Enjoy easy access to Oakhurst Park, Bessie Branham Park, Lake Claire Park, and more. Commuters will appreciate access to travel routes along College Avenue, Dekalb Avenue, East Lake Drive, and Ponce De Leon Avenue.